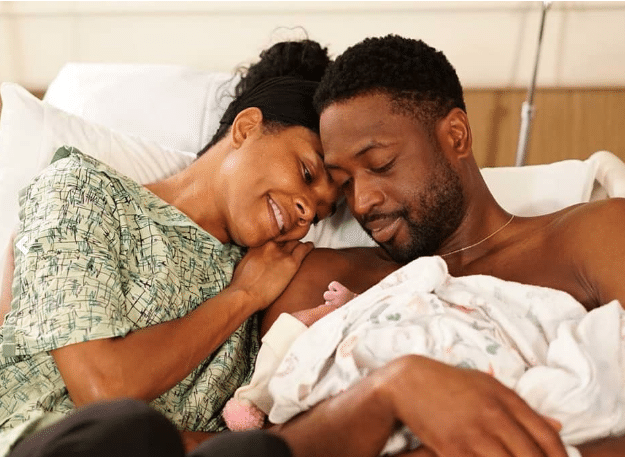 Just days after new parents Gabrielle Union and Dwyane Wade announced the newest addition to their family, the couple has officially revealed her name – Kaavia James Union Wade! In a sweet throwback post shared via Instagram, proud dad Dwayne flaunts a tattoo he got in China to pay homage to his baby girl long before she came into the world. The shirtless photo taken back in July, shows the NBA champ’s shoulders tattooed with her first and middle names. 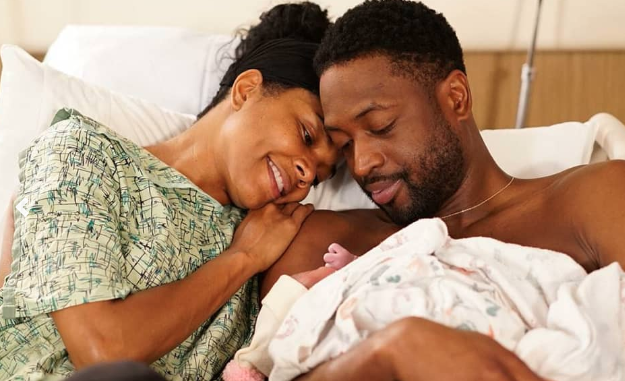 But before people started assuming that baby Kaavia’s middle name “James” is a nod to Wade’s good friend and fellow NBA champion, LeBron James, new mom Gabrielle wanted to set the record straight. The name is actually a combination of both her and Wade’s family tree. Welcome to the world Ms. Kaavia, and congrats again to the Union-Wade family!